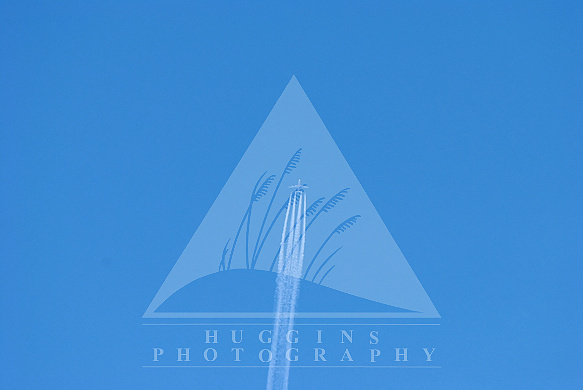 Title: High flying jet against blue sky with contrails. Description: Jet leaves four beautiful contrails from the engine exhaust. Headline: High flying jet against blue sky with contrails.